We talked to them about how they did it. IF YOU WANT to see how much you can achieve if you put your mind to something, just talk to one of the members of the Waterford Youth Arts’ creative writing group. 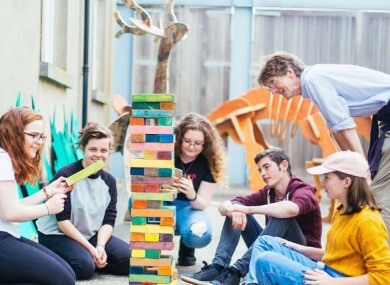 A gang of like-minded teens aged from 14 – 19, when they realised that there were no literary festivals in Ireland set up for teens by young people, they decided to do the work themselves. 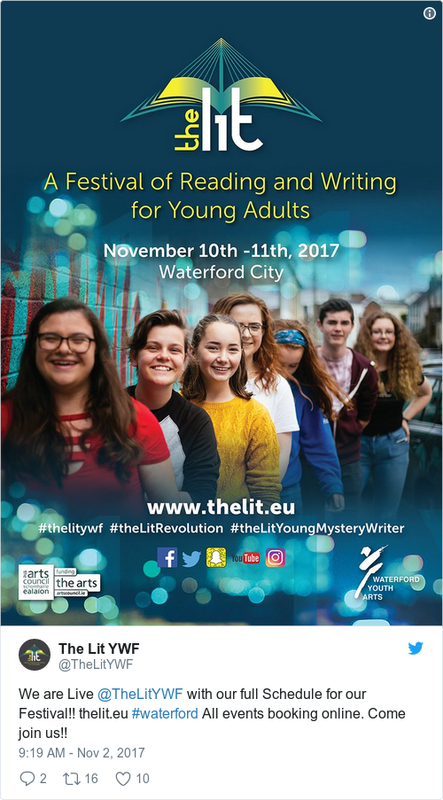 That was only at the beginning of this year, and next week we will get to see the fruits of their labour: The LIT, a new festival of reading and writing for young people in Waterford. The organisers – Érin O’Hanlon, Amber Dowling, Daisy Drohan, Heather Eogan, Isabel Tiernan, Joy Curtis, Keeva O’Neill, Dylan O’Hare, Libby Marchant, Mary O’Donoghue, Nicola Cooney, Seán Dunne, Nicole Burke and Alana Daly Mulligan – are proof that not only do young people love reading, they know exactly what’s going on in the Irish literary world. They – with the help of their creative writing mentor, Eimear Cheasty – have gathered some impressive names for the festival, like Kevin Barry, Lisa McInerney, Claire Hennessy, Erin Fornoff, Dave Lordan and Colm Keegan. They were able to fund the festival thanks to grants, and the young writers are looking after the website, bookings and social media themselves. The festival will run from 10 to 11 November 2017 with lots of events and workshops for young readers and writers (aged 15 – 19), including open mic poetry, writer’s block workshops, and even a special Irish Rail train trip from Dublin to Waterford. On 11 November, the 10.15am Dublin to Waterford train will host a dedicated carriage for the LIT’s Writers in Training. Along the way, writers Stephen James Smith and Colm Keegan will work with young people on creative writing, before they all stop off for the festival. On the journey back, there’ll be even more creative writing to come. 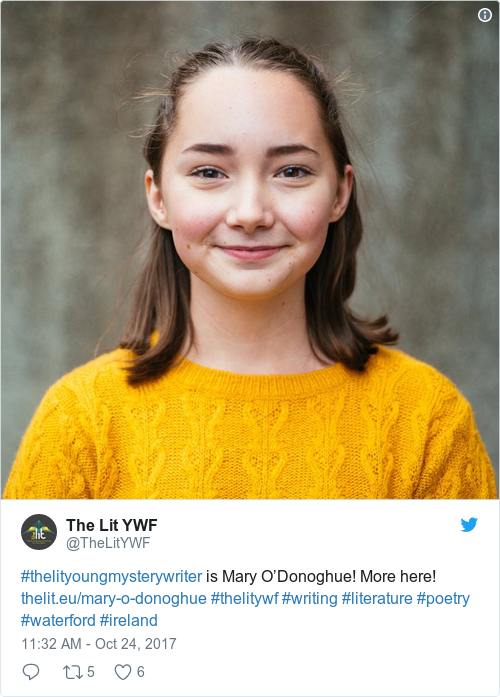 Alana Daly Mulligan told TheJournal.ie that the festival will feature unique workshops where young people can engage with some of Ireland’s top literary talents. It was an incredible opportunity for them to reach out to people they’re fans of to ask them to take part. What makes the LIT different from other festivals for young people? “We know what young people want because we are young people,” said Daly Mulligan. And adults organise great festivals but I don’t think you understand the heart of a young person in 2017 as much as a young person living in 2017 does. We know what young people want and want to engage with, and the writers they are interested in. She said they have worked with “fantastic” adult facilitators in organising the festival. “We had all the ideas and then they said ‘ok, this is how you go about it,’” she explained. Daly Mulligan is a spoken word artist and poet, who started off working with Waterford Youth Arts in its filmmaking and acting strands. She said she’s particularly taken by the fact that Irish writers are engaging with political topics at the moment. She said the festival caters for writers coming up with original ideas and original stories, and allowing young people to learn and to create. The creative writing group who organised the LIT meet every Saturday from 2 – 4pm, with the younger group meeting the same day from 10 – 12pm. Writing is “addictive”, said Daly Mulligan. For more, visit The LIT’s website. The LIT is funded and supported by the Arts Council, Irish Writers Centre, Waterford City and County Council, Poetry Ireland, Irish Rail and Waterford Youth Arts and supported by Waterford Library Services. Email “These Waterford teens have set up Ireland's first youth-run literary festival ”. Feedback on “These Waterford teens have set up Ireland's first youth-run literary festival ”.